This device has been highly anticipated for a while now, with the PSP being a great gaming device for on the move and Android being such a great OS for mobile devices it was pretty obvous that a Playstation Phone was going to come sooner than later and thankfully Mobile World Congress 2011 was the time it was announced although the worst kept secret in mobile history with leaks starting months before. This review device was kindly loaned to us by Clove Technology who have the Xperia Play on sale sim free with super fast shipping options. In fact just an hour after I asked if we could loan a device it was in the post and this was 4pm, it arrived the next day on a Saturday!. The Sony Ericsson Play is a device targeted at the heavy gaming fans and with the PS3 being a massive seller all around the world and being made by Sony it is hard to argue that the Play has big shoes to fill and a lot of pressure to perform both as a new mobile phone in a very busy market these days but also as an alternative to a PSP or other handheld gaming device. The real killer app will be how good the games are due out after launch and also what multiplayer options are available. With the built in 3G and WiFi networking if you are a gaming fan how could you not get excited about the thought of multiplayer online gaming with millions of people all around the world anywhere you have a 3G signal or WiFi connection!. 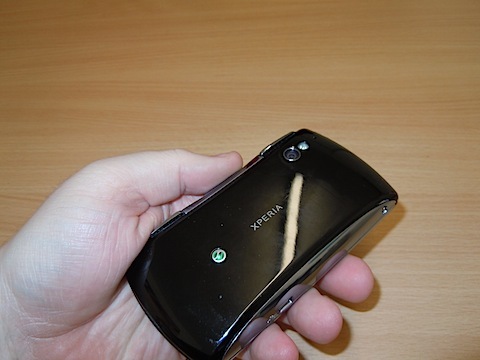 If you look at the Xperia Play straight on you see at the top the light sensor on the right, this helps adjust the backlight to your conditions to help try improve battery life where possible, it also shuts the screen off when the phone is in use and at your ear to stop and accidental taps. To the left of this is a front facing camera which was really nice to see included as the Xperia Arc lacks this feature. Video Calls are over WiFi only and via 3rd party applications such as Tango, there is no access to 3G video calls which although is a shame, the quality of a WiFi call is far better anyway and with exception to FaceTime on the iPhone, Video calls are very rarely used at the moment. Hopefully GTalk Video will start soon so you can video call your Google contacts but until then you are limited to 3rd party applications. 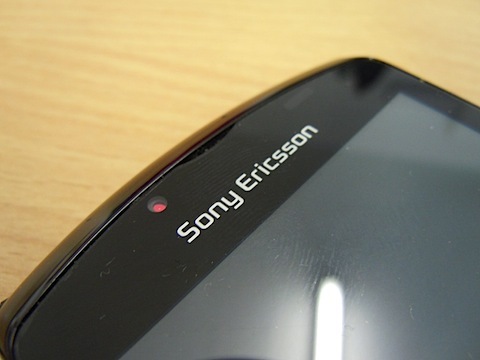 Under the sensor and the camera is the Sony Ericsson logo. You then have the very nice capitative 4 inch touch screen which is great for using in the web browser but of course is mainly aimed to get the best out of the games you can download and play. The screen is high resolution showing 16 million colours at 480 x 854 pixels which gives you a very high quality screen, perfect for gaming on the move and this screen is also LED backlit to get the best quality picture possible. Below the screen are the four standard Android buttons on most phones and these are actual buttons, no touch sensitive pad here thankfully. 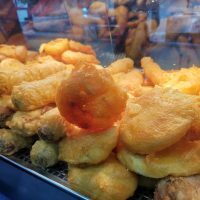 These are for HOME, MENU, BACK and SEARCH which if you have used an Android phone before you will know exactly how to use these, they are standard now on nearly every Android phone and allow quick access to content. 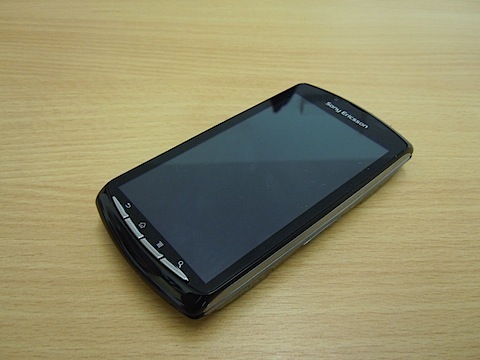 The back of the device has the Sony Ericsson logo and the XPERIA branding, plus a 5 megapixel camera with a single LED flash. In testing the camera produced disappointing results with the captured photos being either slightly blurred or poor colour management, you would not be picking this phone up for it’s camera quality to but it honestly. The camera is fine for displaying on the high resolution screen but on a computer is where you really see the results. There is also no touch to focus option which is a let down and also even more disappointing is no physical camera shutter button instead you need to tap a icon on screen to take a picture which does not help when you are trying to keep the device steady for a decent picture. Video is at 720p HD quality and in general with good lighting is decent quality but again the lack of an actual button to start and stop the recording makes it just that bit more difficult to use but the results from the camera for video are reasonable and more than good enough for uploading to sites like YouTube and Facebook. 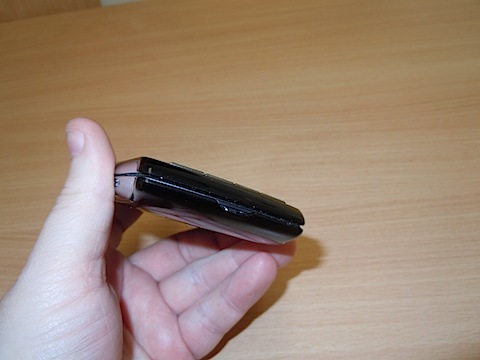 Looking at the bottom of the phone you just get the small hole which picks up your voice during standard calls, there is also at the back a small slit to get your nail under allowing you to remove the back cover, With the back cover you might think you will break it as it bends but don’t worry and just remove slowly, don’t force it and you will be fine. 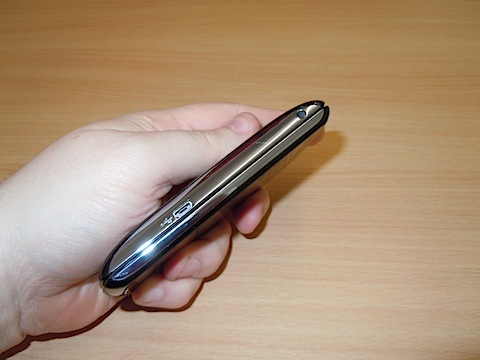 The top of the phone has the On/Off button which is also used to put the Play into a lock mode which can be unlocked using the now traditional swipe on the screen, This button also has a small status light which will alert you to any missed actions like emails, calls and text messages. Looking at the left side at the top you have the 3.5mm headset jack which can be used with the supplied headset in the box or an existing headset if you have a better pair you prefer. Below this near the bottom is the now standard MicroUSB port which is used for charging and for the data cable also included in the box. The right hand side of the Play has in the middle a volume up and down rocker which is used to control volume for different options so using these in a game will change the game volume but using them on the main menu will change the ring volume and even switch into vibrate mode. 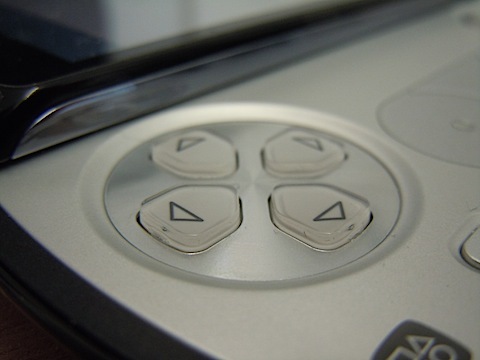 At the top and bottom are shoulder buttons which are used when the screen is slid up and in a game just like a traditional Playstation control pad. Due to the design your fingers will sit on these nicely and are comfortable to use in gaming. The gaming keys are very good quality and easy to use, again just as you would expect with any existing Playstation pad. You get the normal UP, DOWN, LEFT and RIGHT buttons, the Cross, Circle, Square and Triangle buttons for different options in the game, Fifa for example was Cross to pass, Circle to shoot as on the full console. You also have SELECT and START buttons to use in the main menu of different games. 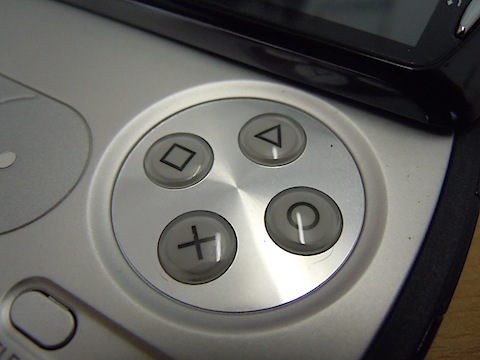 Between the navigation buttons and the control buttons are two circle pads, these are an alternative to using the navigation buttons and are like joysticks you see on a proper Playstation control pad. They are tricky to get used to at first but the more you use them the easier they get to use in games. The only way I could suggest improving the Playstation controls was to have them backlit so even if you are in the dark or in bed you can still enjoy gaming. 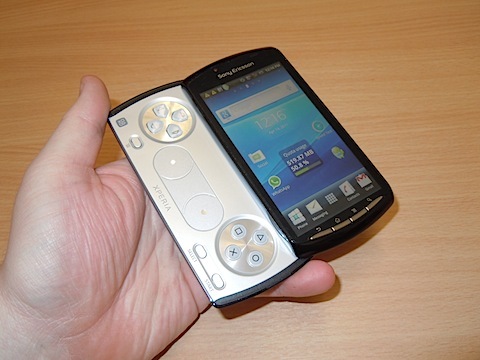 To be honest my overall impressions on the Xperia Play are very mixed. It takes great parts of the PSP platform and some great parts of the phone platform but does not really excel in either. Whilst it runs Android 2.3.3 Gingerbread out of the box and has some impressive specifications, the battery life is a let down getting you a day at best with hardly any gaming, if you started to use this phone for it’s main purpose which is gaming you would not get a day of use even though there is a 1500mah battery supplied it still will struggle with gaming use. 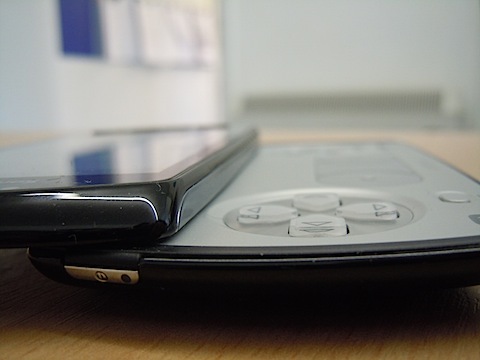 There is also the large bulky design mainly due to having the slide out gaming pad, something which would have worked really well is a dual slide with slide the pad down to have Playstation controls and slide it up to have a QWERTY keyboard for texting on the move, if you have that much space make the most of it. 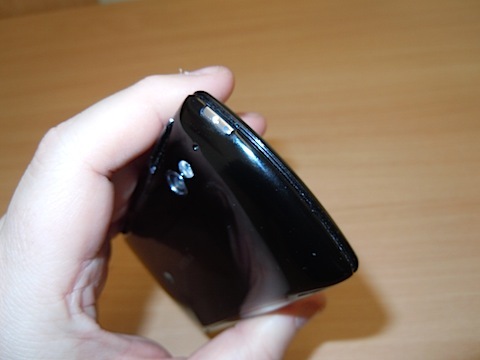 Last on the list of disappointments is the overall build quality, the shiny black plastic case really does attract a lot of fingerprints but also feels poor quality in the hand, especially when you consider this is a near £500 device. 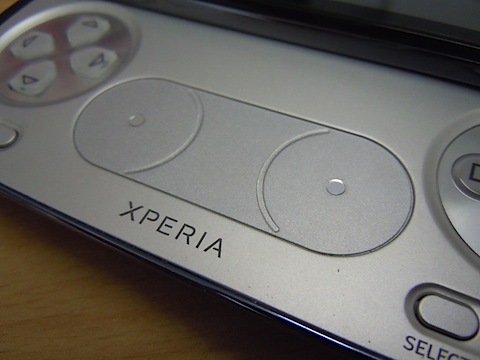 However there are some positives to take from the Xperia Play. The games which are out at present are very addictive, I was glued to Fifa 11 for a good 45 minutes whilst on the bus to work, and once you are used to the controls including the optical pads you really start to have fun. Also something great to see was Sony Ericsson keeping up with the latest version of the Android OS being 2.3.3 Gingerbread. 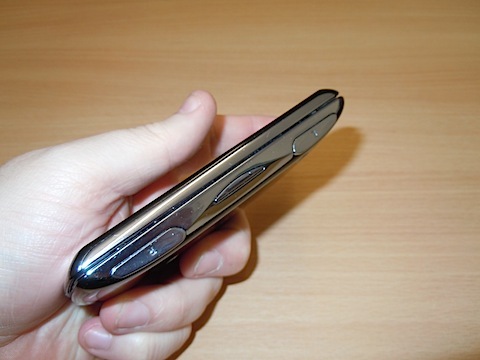 In older phones like the X10 and X8, customers had to wait months to be able to upgrade where other manufacturers had already started rolling out the updates. Sony Ericsson have now decided with these new phones (Play/Arc/Neo) to update software much quicker than before and this shows by launching on a device to start with. If you are diehard gaming fan and do not mind having a larger phone then you will really like the Xperia Play, the main focus is on gaming and with newer games due in time including multiplayer over WiFi you will really enjoy what you get for your money. 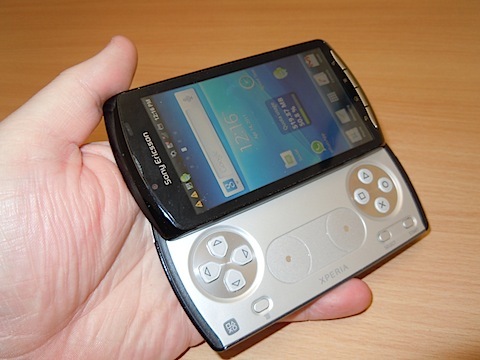 if you are not into your games then the Xperia Play really will not be for you, instead the Sony Ericsson Arc which recently went on sale is much thinner, lighter, has a 8 megapixel camera and is more of a ‘phone’ would interest you. This is the first phone combining the Playstation and Phone experience, the company has to start somewhere and what will be exciting is what they can take from this device and improve in the future!.